Everyone’s Irish this time of year, and that means its green fever everywhere. The food, the drinks, the clothes all go green in honor of our National Holiday. 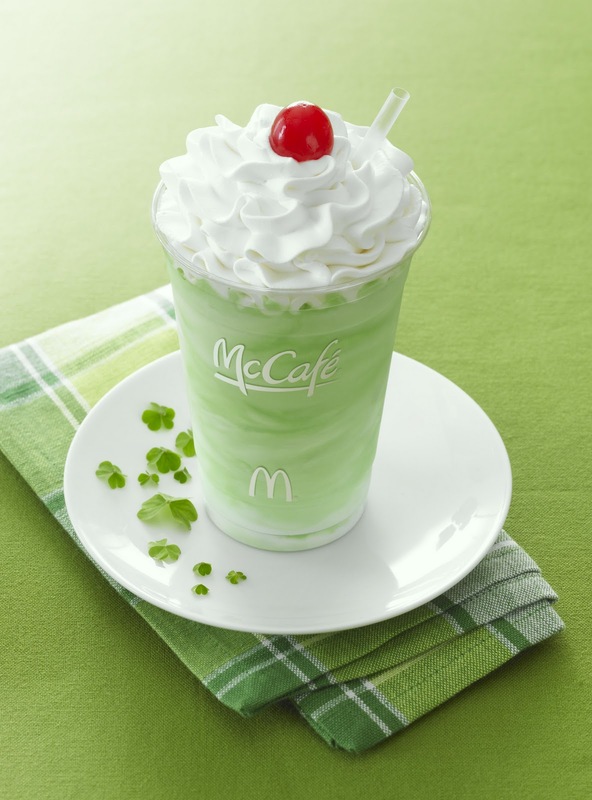 Even our largest fast food chain, McDonalds loves to get in on the frenzy with their annual Shamrock Shake. It’s bright green, it’s minty, and it’s delicious. But, let’s admit it, McDonalds is bad for you, and going there is likely to lead to more trips down the road even when it isn’t St Patricks Day, and next thing you know you’re a regular ordering the same value meal every day and they know you by name. But that won’t be happening soon. So we decided to spike our own shamrock shake at home. Combine your ice cream, Creme de Menthe, irish cream, vodka, and vanilla extract together until evenly mixed. try to avoid too much blending, as to replicate the “triple thick” milkshakes of Mcdonalds. Then just divide between two milkshake glasses. Top with whipped cream and cherry for garnish (optional). If you liked our homemade McDonalds shamrock shape recipe, please feel free to pin us, like us, or bookmark us!